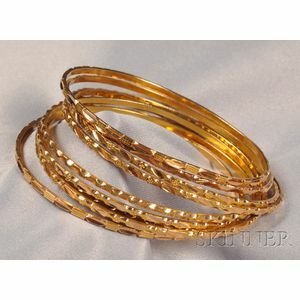 Group of 18kt and 14kt Gold Bangles, seven 18kt and two 14kt, with engraved accents, 43.1 dwt, interior cir. 7 3/4 in. 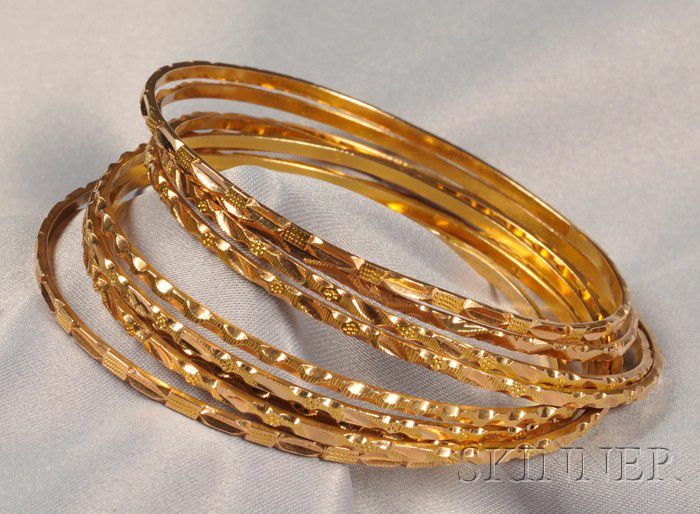 Wear commensurate with age, mainly clean without evident problems.